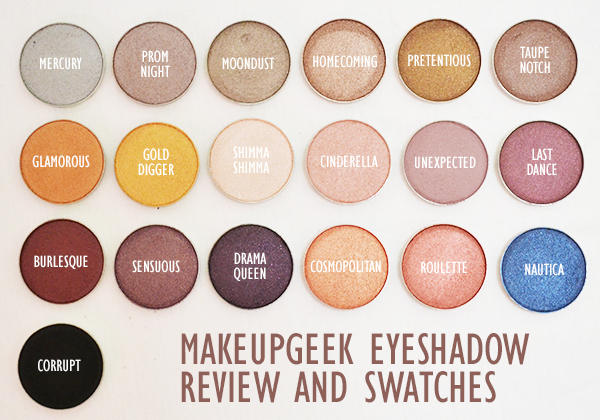 Makeup Geek Eyeshadow Swatches & Review | Top Beauty Blog in the Philippines covering Makeup Reviews, Swatches, Skincare and More! Makeup Geek's single eyeshadows comes in a pan form that is protected by a thick paper sleeve encased in a paper envelope. the packaging is very sturdy and protects the pan inside really well. Behind each pan there is a sticker label with the names of each eyeshadow on them. The pans are made of metal, so they can be placed in empty palettes such as Z-Palettes. They are the exact same size as MAC eyeshadows. MERCURY – Metallic medium silver. MOONDUST – Metallic silver taupe. HOMECOMING – Medium brown with gold shimmer. GLAMOROUS – Bronzy, shimmery gold. GOLD DIGGER – True metallic gold. 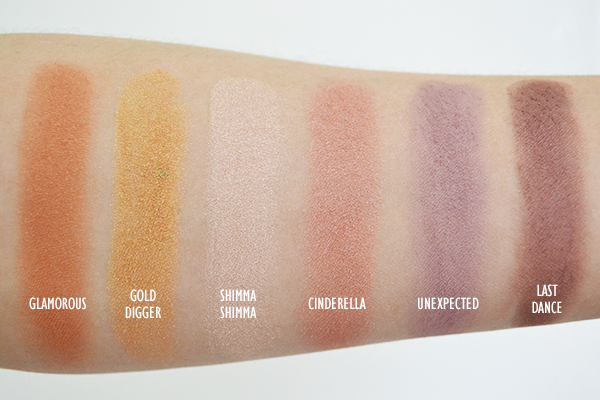 SHIMMA SHIMMA – Shimmery Pale Beige. CINDERELLA – Pale shimmery pink. UNEXPECTED – Matte Pale Pink Brown. LAST DANCE – Satin medium to deep plummy brown. BURLESQUE – Metallic muted burgundy with warm undertones. SENSUOUS – Shimmery Purple with Flecks of Silver. DRAMA QUEEN – Densely dark purple with a shimmery finish. COSMOPOLITAN – Rose Gold with gold flecks and a shimmery finish. ROULETTE – Rosy, burnt sienna with a silky, shimmery finish. NAUTICA – Midnight blue shade with shimmery finish. CORRUPT – Intense matte black with small bit of sparkle. All the eyeshadows featured in this post are absolutely amazing and there isn't a single shade that I do not like. They are all very pigmented, soft and easy to blend. They all apply evenly and beautifully on the lids without being dusty and crumbly. The formula of the shimmery and metallic shadows has just the right softness. Corrupt (intense matte black) on the other hand is more on the dry and stiff side in terms of formula and texture but still perform and apply just as great as the shimmery and metallic ones. Overall, I am very impressed with these eyeshadows and I highly recommend them to everyone. If you haven't yet go and get yourself a few. I promise, you won't be disappointed. Seriously you cant just pick a favorite, amazing quality and shades :) Thanks for the swatches. They are great quality! Love them! A lot of beautiful shades!!! I'm drooling over this palette. No favorites cos I love all the colors. Really like the prom night color, great. 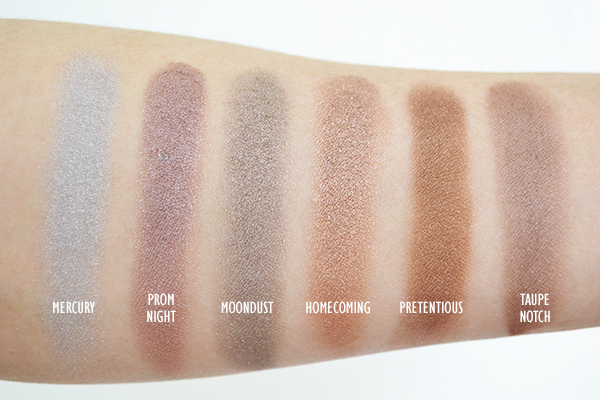 These colours are soo gorgeous and I can't believe how affordable those shadows are! beuatiful palette, I love the colors! These shades are absolutely fab!!! Che colori favolosi, assolutamente unici! These colors look very pretty, especially the darker ones! that is a pretty blue! Aw how pretty are those shades?! I'm loving the purple colours in particular! I need to check out Makeup Geek, it looks like I'm missing out! Qué gran variedad de colorido... Me encantan!!! wow wow wow! 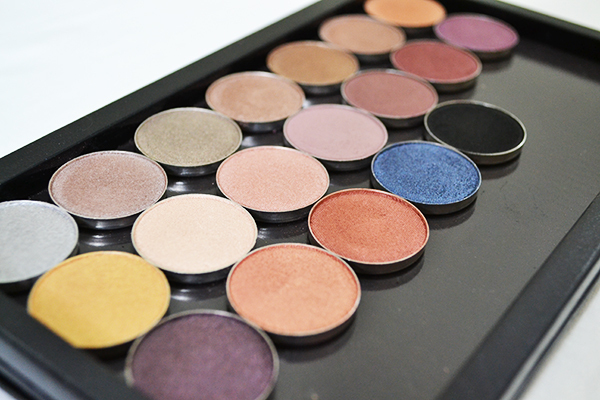 gorgeous eyeshadows!! <3 loved sensuous! i love the colors in this makeup palette!! looks very useful! Gorgeous colors, really loving your palette! OMG lovin these shades of palettes! I have a few of them and I'm very pleased. I own Shimma Shimma, Burlesque, Cupcake, Creme Brulee, Cocoa Bear from the regular line and Grandstand from the foiled range. All beautiful, but the foiled one has insane pigmentation. My only gripe with this particular shadow is that it is SO fragile, it crumbles too easily. 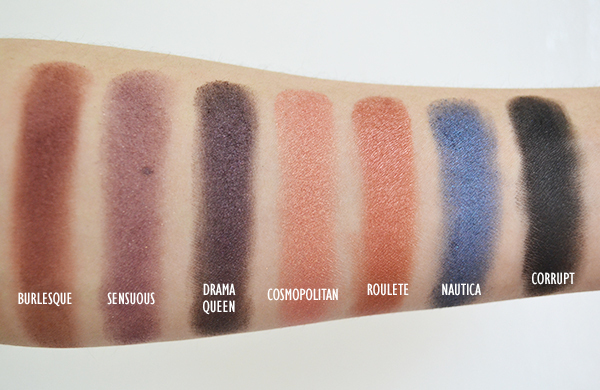 I really want to try their new duochrome shadows, they look so unique and reflective. Overall though, I think you get a better value with pre-made palettes, rather than by picking out individual pans and putting them in a z palette. That's just me though. Great post, thank you for the review! Very useful tips! I love GLAMOROUS and MERCURY most.